MPs voted 315 - 310 to move the bill to a committee of the whole house to consider amendments. Unusually, MPs will be debating every stage of the bill in one sitting after voting to do so earlier by a narrow majority. Put forward by Labour minister Yvette Cooper, the bill would take no-deal off the table by forcing Theresa May to table a motion seeking an Article 50 extension beyond April 12. The two leaders are reported to have had "exploratory discussions" and will agree a programme of work to explore the scope for agreement. A Downing Street spokesperson said both sides showed "flexibility and a commitment to bring the current Brexit uncertainty to a close". The Commons has approved a business motion that will allow them to debate a bill designed to prevent a no-deal Brexit. The bill, put forward by Labour former minister Yvette Cooper, would require the Prime Minister to table a motion seeking a further extension to Article 50 if the UK is set to leave without a deal on April 12. MPs voted 312 - 311 to create time this evening to debate the bill, condensing the second reading, committee stage and third reading into one day. He added: "I think it is a constitutional revolution, and I also believe that is a very, very undesirable precedent." Watch: John Bercow was forced to cast the deciding vote following a tie in the House of Commons. Further indicative votes will not be held on Monday after John Bercow cast a deciding vote to break a deadlock. The Speaker, who traditionally does not vote on bills, was forced to do so after MPs returned a result of 310-310. Mr Bercow said it was not the role of the Speaker to "create a majority where it does not otherwise exist" and voted against the amendment. It is the first time Mr Bercow has had to exercise a casting vote in his role as Speaker. The last time was in 1993 when then-speaker Betty Boothroyd cast the deciding vote on an amendment to the Maastricht Treaty. A Brexit minister has resigned saying he believes the government should have “honoured” the referendum result and left the EU on March 29. This comes after Theresa May said she would look to further extended Article 50 beyond the date of April 12. 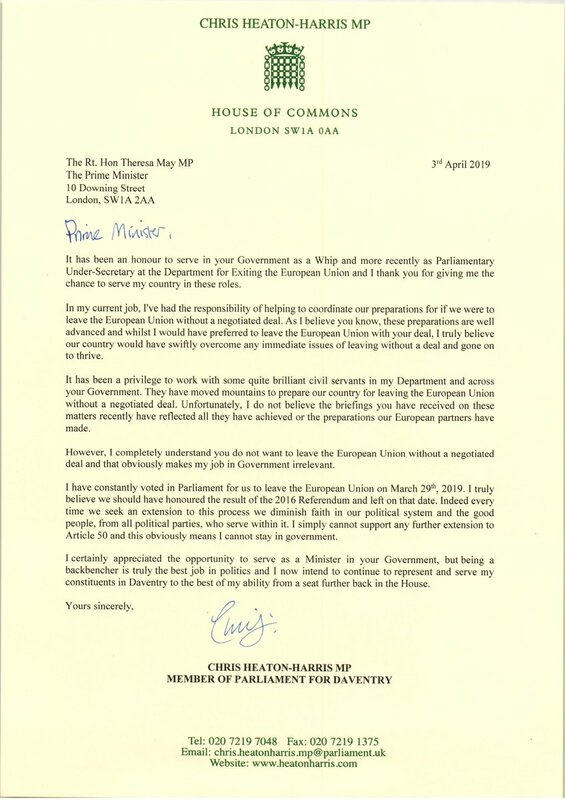 Writing in his letter, Chris Heaton-Harris said: “I completely understand you do not want to leave the European Union without a negotiated deal and that obviously makes my job in Government irrelevant. He added: “Indeed every time we seek an extension to this process we diminish faith in our political system and the good people, from all political parties, who serve within it. 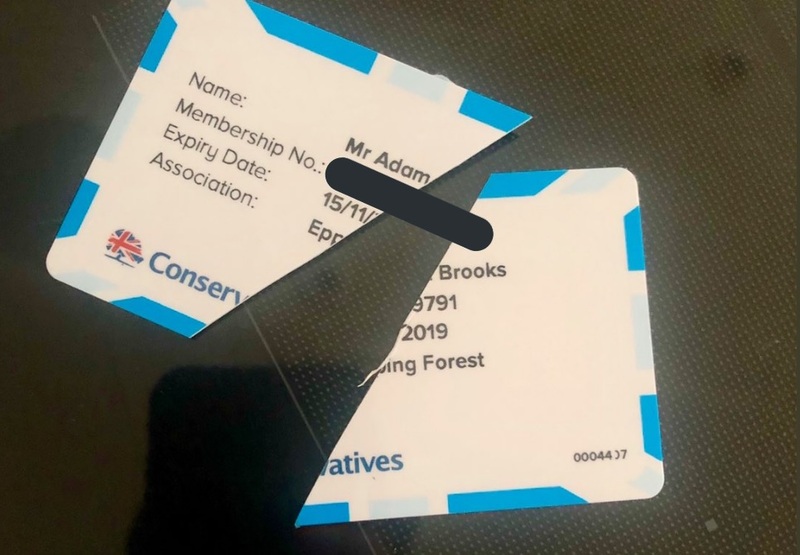 A number of Conservative Party members have been cutting up their membership cards in protest at Theresa May involving Jeremy Corbyn in Brexit talks. Pub owner Adam Brooks, from Essex, was one of many to share a photo of his chopped up card on social media. Fellow Conservative Party member, 24-year-old Busta Miller, said it was the second time he had cut up his card in three weeks. "Asking to meet with Corbyn for a way forward on Brexit was the last straw for me," he said. Theresa May defended herself at PMQs from Conservative MPs angry with her announcement that she would enter talks with Labour leader Jeremy Corbyn. Dr Caroline Johnson, who supported the Prime Minister’s withdrawal agreement, asked Mrs May how she could balance the risk between no-deal Brexit and “letting down the country by ushering in a Marxist, antisemite-led government”. Lee Rowley MP pointed out that Mrs May had only last week called Mr Corbyn “the biggest threat to our standing in the world, our defence, and our economy” and asked what now qualifies him for involvement in Brexit. Mrs May maintained that she did not believe Labour was fit for government, but said she believed the Labour leader and herself agreed on many aspects of Brexit. She added: “I think it is entirely right, and that members of the public expect us, to reach out across this house to find a way through this. The Prime Minister is currently fielding questions from MPs, ahead of holding Brexit talks with the opposition leader. It is the first time MPs have had the chance to grill the PM since she announced her collaboration with Corbyn. 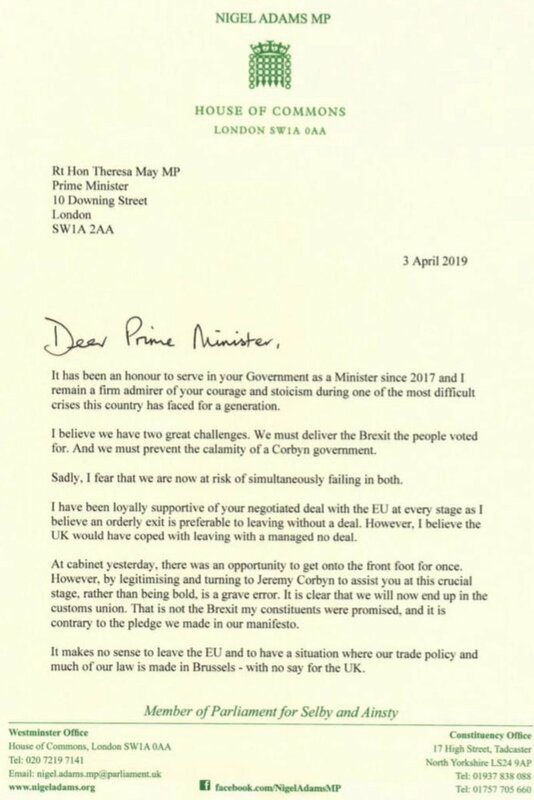 Wales minister Nigel Adams has resigned saying that the Prime Minister had made a "grave error" by reaching out to the Labour leader in the hope of finding a solution to the Brexit "logjam". "It now seems that you and your Cabinet have decided that a deal cooked up with a Marxist who has never once in his political life put British interests first is better than no-deal," he told Mrs May. "I profoundly disagree with this approach." Speaking in Downing Street, Mrs May said she would meet with Jeremy Corbyn in an attempt to reach a deal that would pass through the House of Commons. 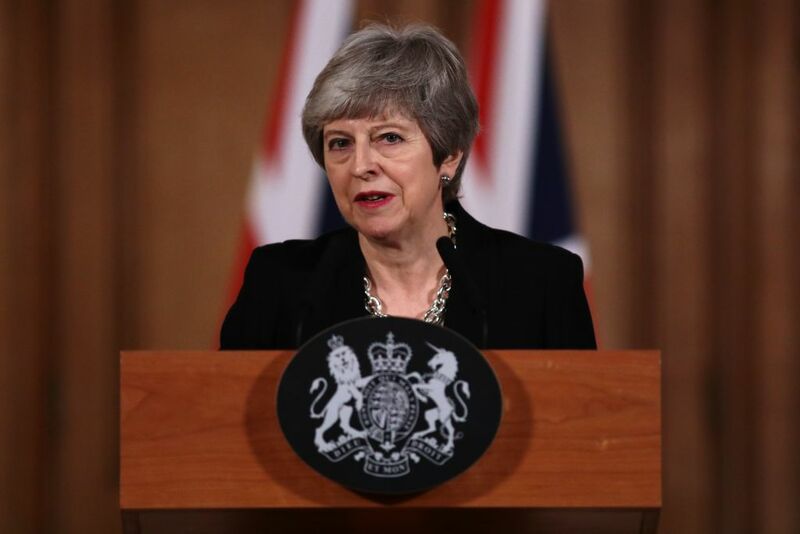 The Prime Minister added she was not willing to take the country into a no-deal Brexit on April 12, and would therefore seek another extension to Article 50 to ensure we a "timely and ordely" Brexit. The speech came after the Prime Minister chaired a marathon Cabinet meeting yesterday for Brexit 'crisis talks'.